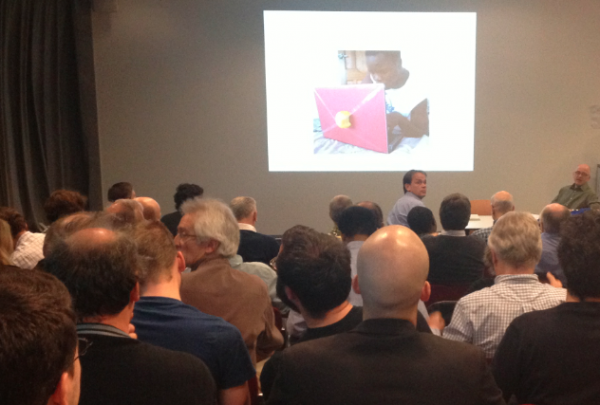 What is the link between MOOCs (Massive Open Online Courses), EPFL (Swiss Federal School of Technology) and Africa? On April 15, 2013, Jonathan Ledgard gave a talk on this topic. 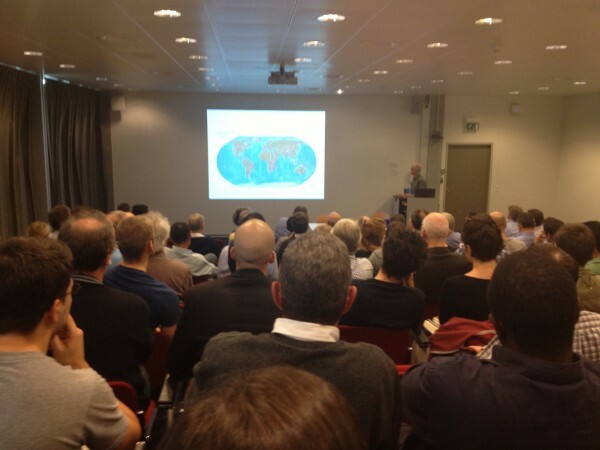 Jonathan Ledgard is Africa correspondant at large of THE ECONOMIST, Landolt Chair in Future Africa at EPFL. When he talks about “SPIES, SQUID AND FUTURE AFRICA”, that can be decoded as “POLITICS, NATURAL LIMITS and YOUTH”. Jonathan Ledgard started his talk saying we all orignated from Africa. Here are a couple of points I noted: Africa will be hit hard with climate change despite all the qualities and creativity of human being. From 305 millions youth african between 15 and 24 of age, they will be 424 millions by 2015 while Europe figures are estimated to drop from 140 millions to 111 millions. There is no industrial basis in Africa (except mining) compared to Europe and China. What will then be the jobs for youth? One of the answers according to Jonathan Ledgard resides in technology. Someone asked a question about if technology alone would solve the unemployement issue. China is mainly interested in food including fishing and minerals in Africa. According to Jonathan Ledgard, MOOCs is a new kind of Education. Why are MOOCs not a fashion? It is a real game changer according to Jonathan Ledgard. There is an explosion of secondary schools and universities in Africa. Africans are very determined in learning. In his opinion, in the same way time changes, business model disappear. For instances: from Encyclopedia Britannica to Wikipedia. He believes in a shift from Universal superficial information to Universal deep knowledge education. In the same way Nokia revolutionized the access to mobile phone in Africa as a disruptive innovation, MOOCs can revolutionize education. Access will be performed through affordable tablets.